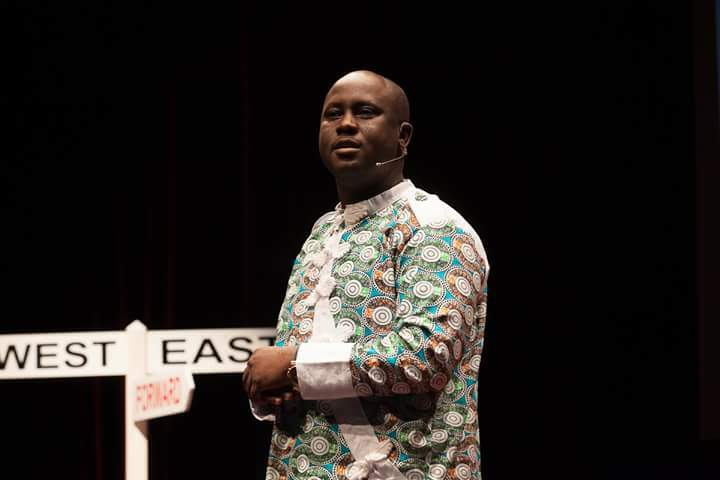 Pius Adesanmi, a Social/political Commentator and Professor of English at Carleton University, Ontario, Canada, has penned an interesting article on the impprtance placed on education in Nigeria. He shared it on his Facebook Page on Wednesday. Yesterday, President Obama gave one of the most significant speeches of his life – his farewell speech. Sasha Obama, his youngest daughter, was missing in action. Naturally, the Americans needed and wanted to know the whereabouts of the young lady. The answer was swift in coming. In a democracy, a Presidency does not have the luxury of joking with the time and emotions of its employers – the people. When they want to know something, you provide information. Sasha Obama has an exam this morning. She needed to remain in Washington and study for it. In other words, some teacher in a secondary school in Washington fixed an exam which conflicted with the schedule of the Presidential family and the President’s schedule had to take a back seat. An SS1 exam fa. We need to draw weighty lessons and conclusions from this scenario. This has happened in America at a time when someone enforced the extant laws of Nigeria and was fired and the law suspended altogether because it affected an extremely powerful one percenter. The Nigerian secondary school teacher who sets an inconveniently-timed exam for the child of a Local Government Chairman, and the principal who allows it, would have been taught the difference between khaki and leather. Let alone setting an inconvenient exam for a Governor’s child, a Senator’s child, a Minister’s child, the President’s child. Let alone setting an inconvenient exam for the child of any sufficiently powerful private Nigerian citizen (and that is where these kids are even in the Nigerian school system at all o. Chances are they are in Europe, Canada or America). Going by how we recently suspended a valid law on account of one powerful Nigerian, I wager that the basic education board, the secondary education board, the state and federal ministries of education would have been suspended. However, beyond all of this, the chief lesson to be noted from Sasha Obama’s absence from her father’s speech is the quality of parenting she has and the values of her parents. We are talking about the American President and his wife who were at the mercy of a secondary school teacher. No interference. No cutting corners for their daughter. No wielding of influence. No pressurizing the teacher to change the exam date. No teaching the daughter that it is okay to wield influence to arrange things for her. Last year, I had a run in with the irresponsible Governor of Ogun state who goes about blocking the view of progress with his fila peteesi. Such is his level of disrespect for and unhealthy interference in education that he vetted a secondary school exam question, did not like it because the students were asked to write an essay on the quality of education under his oversight, and promptly fired the teacher, harassed the school principal, the state chapter of NUT and the ministry of education. The teachers’ union had to go and beg him and promise that no exams would ever be set in Ogun schools again that did not flatter his fragile ego. They also thanked him for paying their salaries! I went after him in a series of op-eds. He unleashed his aides on me in sponsored attacks. They even reported me to some prominent Nigerians. I hope the Governor of Ogun state and his aides can learn a thing or two from this humbling encounter between the Obamas and education. President Buhari is so alienated from sentient reach by anybody with wise counsel that it is perhaps a wasted effort to try and draw his attention to the lesson in symbolism that President Obama has taught all of us. No Nigerian President has ever understood the power of symbolism. One’s hope was that President Buhari would understand it but he is just as blind to it, as obtuse as his predecessors. 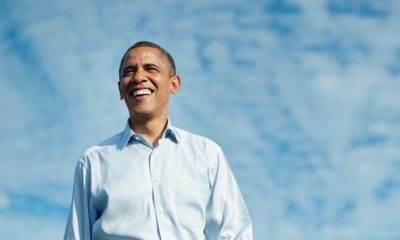 By symbolically submitting himself to the supremacy of his country’s education sector, President Obama has done something for education that no amount of funding, budgeting, and infrastructural development can achieve. We have been saying it for a very long time that the collapse of the Nigerian education sector is not all about rotten infrastructure and the absence of funds and resources. Beyond these material and physical issues lies the complete absence of symbolic valuation of education in Nigerian life. It starts from the top of Nigerian society and seeps through – all the way to the very bottom. The collapse of education is a function of a collective national plebiscite to destroy it. From the President to the pure water seller, every Nigerian is armed with an axe, hacking down the education sector bit by bit. That axe is represented by our twisted values. Parents write exams for their kids – when not buying exam papers for them. They harass teachers and cut every cuttable corner for their kids in the education sector. Let me add this little detail for the axe wielders destroying education in Nigeria. Just because Sasha Obama is the President’s daughter does not guarantee her a passing grade in the exam she will write today. She may get a B or a C. Nothing will happen to the teacher. Beyond President Buhari’s absence of symbolism and arrogant Governors wielding negative and destructive influence on education in Nigeria, we need a concerted national effort to re-invent our values. All our formative institutions have a role to play: the family, the church, the mosque, etc. We are here talking about what one family has done. I said that the Church has a role to play. However, I feel one kain about the ability of Nigerian Christendom to play a restorative role in the struggle to re-invent our values. When the laws of the land are suspended because they are inconvenient for a Christian leader and you have Christians hailing such a brazen assault on decency, then you know that Nigerian Christendom is finished. One last lesson for the 99%. When a notoriously slow-to-act President Buhari moves with lightning speed to discipline a government appointee – he is yet to discipline those who padded his first budget – and to suspend a valid law of the land on account of a powerful member of the 1%, you should know that it is time to stop tearing at each other on account of faith and in support of your favorite politician. Word! Thank you for calling out the leaders. Please call out “we” the people as well. I know of instances where leaders want to follow the rules but “we” are so brainwashed that we think we have to excuse them. I think we have a disease called “ogaism” or in other words some are above the law. until we pull it down Ogaism in our minds and society, we will continue to lag behind. God has blessed Nigeria! God have mercy on Nigeria!! Your points are so valid..u spoke well 4 those of us who stil believe in d sanctity of a sound education..however,I have to raise my red flag wen u brought up d issue of d church(religion)&FRC extant law..I must emphasize dat religion&d state has to b separated&it is on dat basis dat I hinged my support on d president’s sack of obazee!! The last statement says it all. 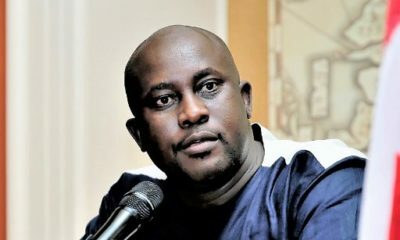 While his points are so eloquently laid out, my problem with Pius Adesanmi is he never has answers for the solution. I watched Poju Oyemade’s wife ask him at the 2015 platform what the solutions to the problems he laid out were, but as usual, he couldn’t give an answer. Every one knows the problems. Solutions are what we need as a nation to progress but then again, who says he cares about the progression? Na only criticism him wan dey give.. Exactly! That is essentially why most of the time, i pay Pius no mind.. The politicians r corrupt, okay do you belong to a political party? Do you have plans of running? How exactly do we move out of this mess instead of rejuvenating facebook memos! Well thought out, Dona ! Wait, what was the law that was set aside and for whom? I have always known that, beyond politics, the Obama’s are good people because real recognizes real. This post hammered on the failure of our leaders and our failure as “the people” as well. The solution to our Nigerian problems is for all of us to take a little portion of that problem and make it ours by solving it–privately and/or publicly–then inculcating that knowledge and modelling that example to the ones coming behind. We are all we got!! !